Caitlin Clarkson Pereira, who is running for a seat in Connecticut’s state legislature, can’t always afford a babysitter when’s campaigning. She’s pushing for the right to use campaign funds for childcare. Don’t get me wrong—Parker is adorable and has probably helped me win a vote or two. But when she is with me, I can’t help but be distracted. By the time we walk hand-in-hand up steps that are seemingly endless to a preschooler, I am able to greet about half as many voters as I can when she isn’t forced to tag along. In retail politics, that’s a very high cost. Like most working parents, I rely on a patchwork of childcare options: pre-kindergarten and after-school care when my husband and I are at work, family and friends when they’re available to pitch in, and babysitters for an occasional night out. But campaigning is like having a second full-time job. It requires long hours in the evenings and on weekends to connect with voters and attend community meetings and public events. That’s why, like other candidates across the country who also happen to be moms, I’m fighting for the right to use campaign funds to cover childcare expenses when I’m on the trail. This summer, I petitioned Connecticut’s State Election and Enforcement Commission to use public campaign funds in this way. They said no. I’m appealing the decision because I know I’ll need more childcare help in the final months of my race. But this isn’t just about me; there is something much bigger at stake. We can’t have equity in our society if we don’t have it among our elected officials. If my appeal is successful, it sets a precedent for all candidates, regardless of gender, and then hopefully becomes law. Childcare, of course, is needed by men as well as women. Yet research shows that working moms spend nearly double the amount of time caring for their children that working dads do—an average of 14 hours a week compared with eight hours. Clearly, the burden of watching the kids or finding a suitable caregiving arrangement often falls on women who work, leaving all too many with terrible choices. 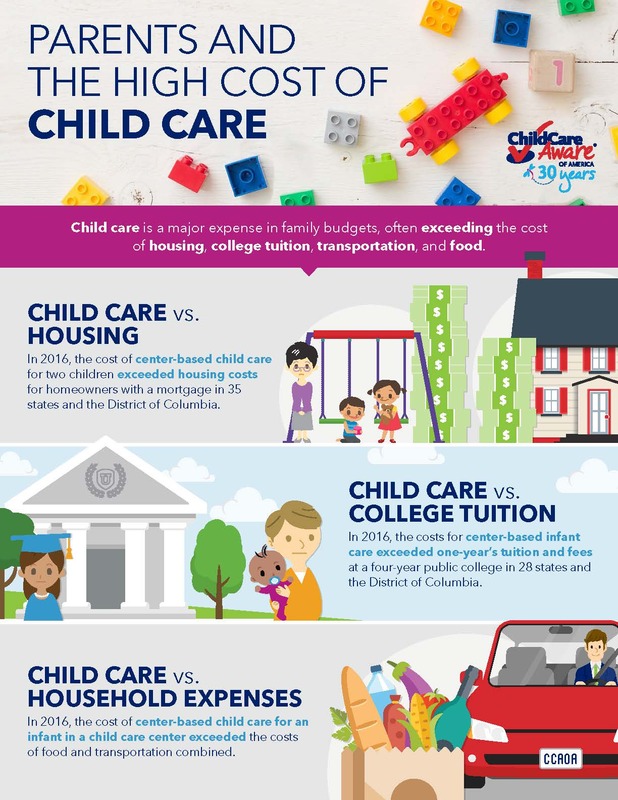 In certain zip codes across the country, there are so few daycare centers that some experts have started calling these areas “childcare deserts.” Meanwhile, where care is available, it is often exorbitant, outstripping the combined cost of what households spend on food and transportation and, in a majority of states, even the expense of housing and tuition at a public college. Indeed, childcare in the U.S. is among the highest-priced in the world. The upshot is that millions of working mothers have had to quit a job, not take a job, or substantially change their job because of childcare problems. Keeping well-qualified, productive women out of the labor force in this way is bad for the economy and for society. But it’s particularly harmful when a lack of childcare is an obstacle for those of us trying to assume public office. Working moms with young children like me promise to bring an important—and largely overlooked—perspective to the political arena. We understand, in the most personal way, the need for policies that promote early childhood education, affordable healthcare, resources for children with exceptionalities, pay equity, a woman’s right to choose, earned family medical leave—and, yes, affordable, high-quality childcare. But we can’t elect more moms to local, state, and national office unless our laws—campaign and otherwise—adequately support them and their families. We have to provide opportunities for non-wealthy candidates to enter and compete on a level playing field in electoral politics. Unfortunately, the federal ruling does not apply to the thousands of women who are competing for state and local office. It has, however, opened the door—albeit with mixed results. Women candidates in Arkansas, Alabama, Texas, and Wisconsin have successfully petitioned state regulators to allow them to use campaign funds to cover childcare costs. In Iowa and my state, Connecticut, we’ve been turned down. And in New York and Massachusetts, two bills that would have changed the laws to allow parents to use campaign funds for childcare have been stalled. No matter what happens on the childcare front, this is already a historic year for women in politics. A record number of us are vying for elected office, propelled largely by the misogynist-in-chief in the White House. But what is also notable, if less buzzed about, is the degree to which so many women candidates are embracing motherhood. Zephyr Teachout, the 46-year-old who just lost her bid to be New York attorney general, campaigned while pregnant and launched an ad featuring her getting an ultrasound exam. Two gubernatorial candidates, Krish Vignarajah of Maryland and Kelda Roy of Wisconsin, have both run ads that featured them breastfeeding their infant daughters. Without a doubt, the “pink wave” is coming, and plenty of us moms are proud to be part of it. I just wish that I had more of a choice as to whether to bring my little girl along for the ride, especially when it’s past her bedtime. Caitlin Clarkson Pereira is a Democratic candidate running for the 132nd House District in Fairfield, Connecticut.